Already renowned for offering quality products, Hikvision’s Machine Vision Area Scan cameras are offering you the best of the best. 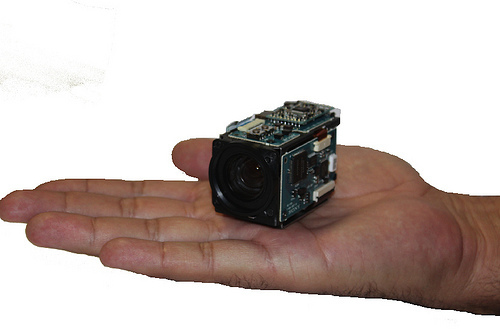 Small and compact, these Area Scan cameras deploy in an array of applications. If you’re searching for a camera that is multi-function and versatile, you can’t go wrong with the Hikvision MV- CA032 10 GC/GM. The camera utilizes the latest technology from Hikvision and packs a powerful punch for its size. Its dimensions come up to 1.14″ x 1.14″ x 1.65″ (29 mm × 29 mm × 42 mm) that only add to its versatility and further enhance the flexibility it offers in usage. The MV CA032 is also designed to be compatible with a wide variety of tools and even supports software from third parties. It also has a transmission distance of 100m without any need for relaying. Transmitting – Image burst transmitting through 128MB buffer onboard. All these features and more can help to produce amazing results during simple surveillance all the way to complex industrial imaging. With so many features, the MV CA032 10 GC/GM is a perfectly versatile GigE camera. In some instances, performance test for electronic semiconductor fabrication provides favorable results. Camera synchronization is also simple and easy with both soft and hard triggers. The MV-CA032-10GC/GM include a certification of FCC, CE, and RoHS. The high-quality device has quickly become a favorite and is available in different versions. Note that the US version is the only that can be updated whereas the Chinese and International versions might be a bit more problematic.